For press inquiries and speaking requests, visit our Contact page and send an email via the contact form. Stay updated on YogaNurse news by following us on Twitter, Facebook or our blog. Holistic Health Show- Does Yoga Have A Role In Diabetes? Nurse Together- Is Nursing Making You Sick Fat And Old? 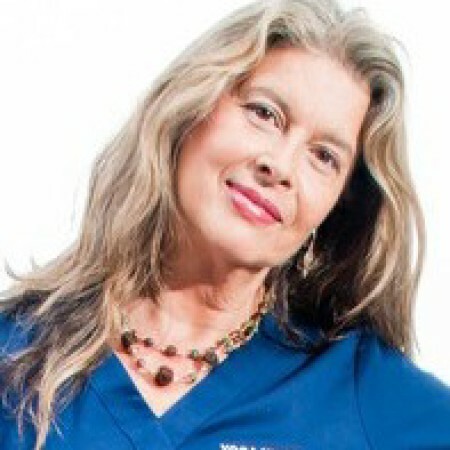 From the Hollywood High Life to Nurse – Healer, Health Care Rebel and #1 BEST SELLING author. Meet Annette Tersigni RN, TOP SECRET alias—the Yoga Nurse: speaker, teacher, trainer, medical activist. So what’s her dharma? (yoga speak for purpose in life). 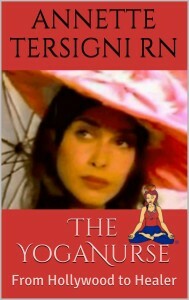 The Yoga Nurse: From Hollywood to Healer. It’s an outpouring about my mission + vision for nursing, my many fascinating ‘lives’ with a combo of both shocking and enlightening insights, meetings with saints and sinners, heart break, autism, epiphanies, modeling pics + a surprising video with a famous actor, training with a world famous doctor who inspired me to create ‘Yoga Nursing’– a new accredited field in health care, and much, much more.